Some families have multiple offspring and many expenses. Teaching that kids make money on their own from a young age will encourage the expenses to be balanced around the family. When a child is able to work for themselves and earn some extra cash, they can use those funds to purchase clothing items, expensive shoes and engage in entertainment with peers. Chores around the home can be listed for a kid to complete. Parents may enjoy seeing certain jobs get done around the home and equally enjoy seeing their child earn savings for their efforts. Teaching a person to work for their funds will make them value it in a different way. Some people will add money to the job and post everything on the fridge. 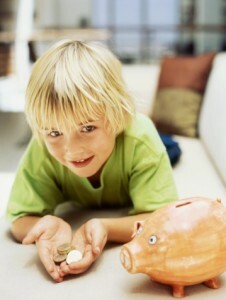 That allows the kids in the home to see what jobs are worth and they will decide on what tasks to do to earn cash. They may leave certain jobs and tackle other ones based on the fee associated with it or the effort of the work. There may be tasks and chores to do in a home and on the outside. Parents can help their offspring work on chores that involve the garage, basement and lawn. Older kids can begin to shovel snow for neighbors, rake leaves and help with flower beds. Babysitting usually begins around the early teen years. There are courses that a person can take when they want to be extra qualified for the job. Some jobs may require some after school shifts, while others could be based on the weekends only. A person who is well known in the neighborhood may work for many families and keep busy with the jobs that they have. When parents have children who earn their own funds, it can help them acquire some of the personal items that they may want. Some older kids and teenagers have expensive taste in clothes and shoes and buying these items on their own, can save parents time and money. As young people make cash on their own they can save up and buy the things that they want without having to ask their parents. Vincent Cerally is an expert in Teaching Kids About Money. He has taught about kids make money, allowances, budgeting and saving money for kids. This is so important. I feel that the earlier you can teach children about the value of work and money the better. They will really being to appreciate what it takes to save and purchase something they want. This also helps to prepare them for the work force in the future. 🙂 thanks for the great post! LeeAnn Townsend´s last blog post ..Are You In Only 4 Days Left!